Early returns indicate nearly 450,000 votes have been cast, predominantly by older demographics, thus far in Tuesday’s municipal election. 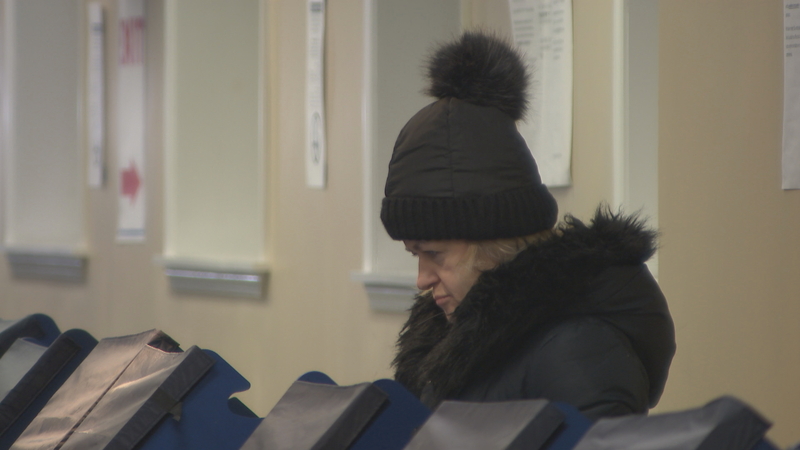 As of 6 p.m. Tuesday, unofficial numbers from the Chicago Board of Election Commissioners indicate about 448,600 ballots have been turned in through early/absentee and election day voting. That’s a 28.4-percent turnout with just one hour remaining before polls close. More than half of that total – about 234,500 voters – has come from voters who are 55 or older, according to those unofficial numbers. Voters ages 55-64 have cast the most ballots thus far with nearly 95,000. That’s followed by voters ages 65-74, who have cast over 84,000 votes. The age group with the smallest turnout? That would be 18- to 24-year-olds, who have cast just 13,500 votes, or about 3 percent of the overall total through 6 p.m.
Fourteen candidates are running to replace outgoing Mayor Rahm Emanuel. With the largest field of candidates in Chicago history and tens of thousands of mail-in ballots requested, it’s likely a winner will not be named Tuesday night. Unless a candidate earns 50 percent plus one vote, the top two vote-getters will head to a runoff election in April. Local polling has not shown any candidate come close to that necessary total to avoid a runoff. Voting levels have remained steady throughout the morning and early afternoon, with election day totals about 287,300. More than 161,500 early/absentee ballots have also been turned in. So far the 19th Ward on the South Side has seen the highest turnout, with 49 percent of voters turning in a ballot. That’s followed by the 41st Ward (41 percent), the 47th Ward (39 percent) and the 48th Ward (36 percent). The 24th Ward (18.2 percent) and the 36th Ward (18.7 percent) have seen the lightest turnout so far. Polls close Tuesday at 7 p.m.